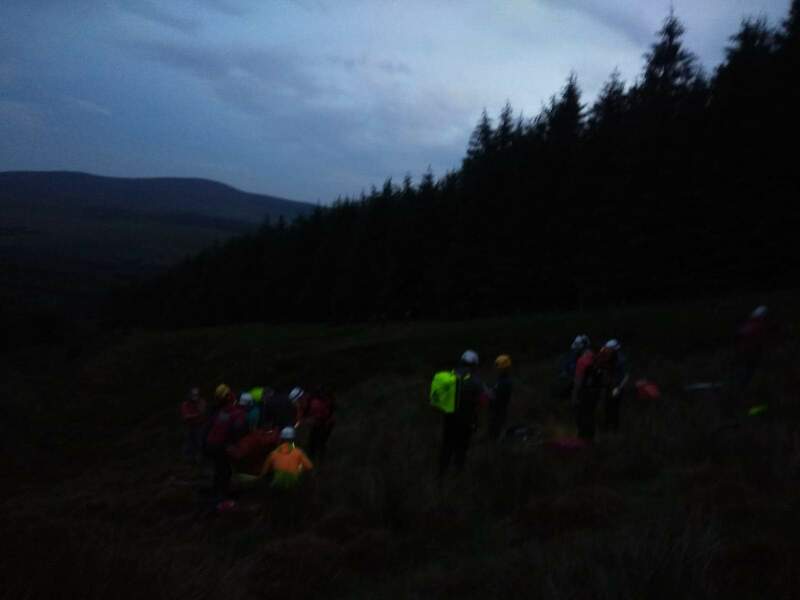 At 20:41 on Thursday, July 19th, Glen of Imaal Mountain Rescue Team and Dublin & Wicklow Mountain Rescue Team were tasked by An Garda Síochána to assist a man who experienced chest pain, while walking as part a group, on Seefingan. Mountain rescue (MR) personnel responded, along with Irish Coast Guard helicopter, Rescue 116. The walker was assessed and treated on scene by EMTs, a paramedic, and an advanced paramedic, all of whom are MR personnel. 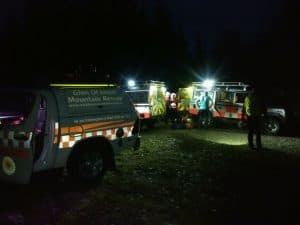 Rescue 116 was overhead, but following consultation between on-scene medics and a medical doctor, the decision was taken to evacuate the patient on a stretcher to a waiting ambulance for transport to hospital. MR wish the patient a speedy recovery, and would like to express our gratitude to the crew of Rescue 116 and the National Ambulance Service.